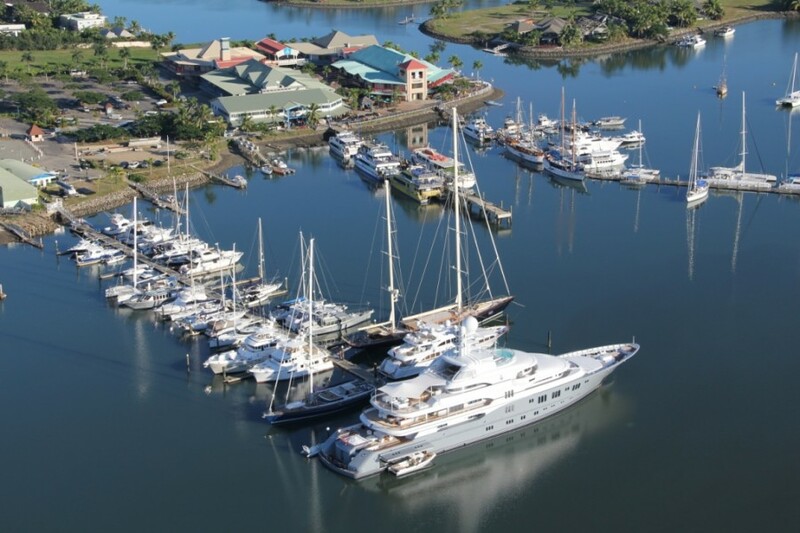 Fiji’s Port Denarau Marina has been named the winner in the category of ‘International Marina of the Year’ at the MIA Awards Dinner held on the Gold Coast in Australia. Until now, Superyacht owners have chosen to cruise these waters relatively alone, with little infrastructure in place for Superyachts and charters. Located on the largest of Fiji’s islands, Port Denarau Marina aims to transport Fiji from a subsidiary part of New Zealand or Australia’s cruising grounds into a destination in its own right. Fiji has some of the world's best cruising waters and Denarau Island is Fiji’s largest integrated resort, comprising of seven high-end resorts and an international standard 18 hole golf course, as well as 300 private residences. The island is connected by a causeway to Viti Levu, the largest island, and is 15 minutes’ drive away from Nadi International Airport. The Port Denarau Marina had made considerable modifications over the last three years, including the addition of a brand new Bellingham Marine floating jetty for visiting craft. In addition to the 63 commercial and 52 fully serviced private berths and 14 swing moorings, 14 berths can accommodate Superyachts up to 85 metres in length with 5 metres draft. Fuel, water, single and three phase power and WiFi are all available at the dock. The complex contains a 50 tonne travel lift, a hard stand area and marine workshops. Aside from top class facilities there is also the new commercial and retail centre, the largest such complex in the area, which is home to anything you need from a doctor to a beauty salon. As well, there are nine restaurants and bars and local cultural events and live bands to welcome you after a day, or a several day excursion cruising the lush tropical islands of Fiji.